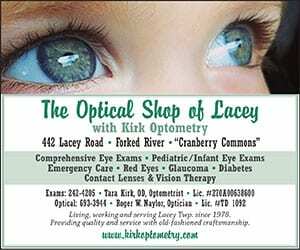 OCEAN COUNTY – The bayfront horizon will soon change. 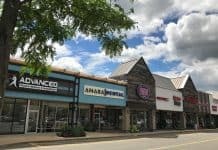 Crews are expected to begin work January 17 taking down hundreds of landmark, historic telecommunication poles in Good Luck Point and Manahawkin. Berkeley Mayor Carmen Amato received notice from the project managers, through the United States Fish and Wildlife Service’s Edwin B. Forsythe Refuge, late 2016 that work was scheduled to begin January 17. 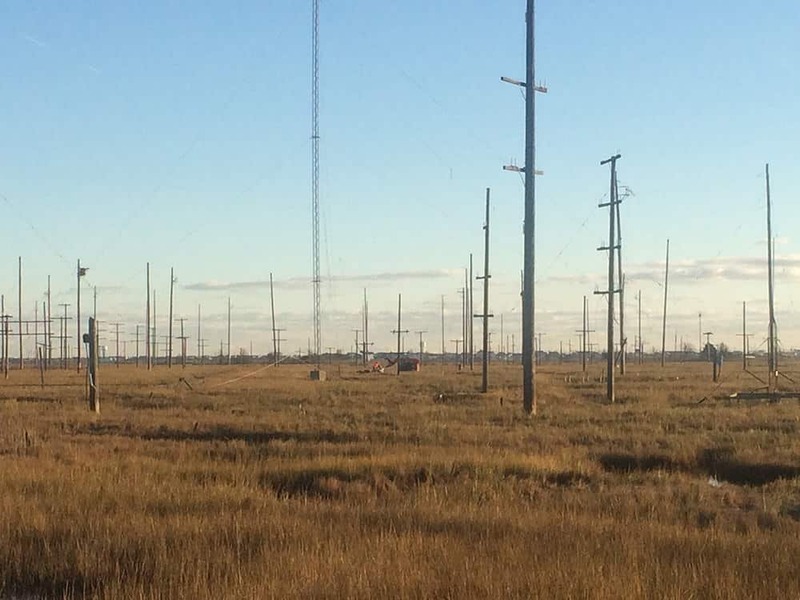 The project will remove several hundred poles from the old AT&T field in the marsh of Good Luck Point and 100 poles from its sister site in Manahawkin. The long-decommissioned telecommunications poles were once part of a ship-to-shore network. 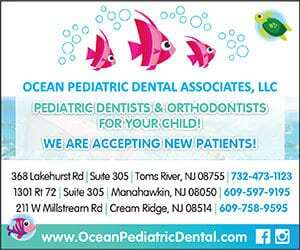 The pole field is located along Bayview Drive in Berkeley and Beach Avenue in Manahawkin. AMEC Foster Wheeler Environment & Infrastructure to supervise and contract the work. The Refuge held public hearings last year on whether to proceed with the project as part of marsh resiliency, and completed some preliminary work in the fall to test drop some poles to prepare for the bulk of the project for January. In Berkeley, the crews will be accessing the pole field and staging equipment on the adjacent AT&T building site. The township owns the building and is awaiting word from its engineers on how to demolish it and if any remediation is needed. The building has sat in disrepair for years before the township assumed control of it. 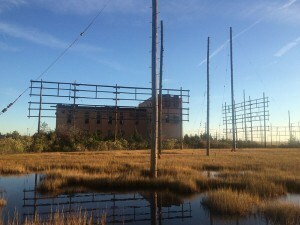 The Good Luck Point site includes a shortwave transmitter building and antenna field, that in the 20th century operated under the call sign WOO, which helped broadcast Voice of America around the globe after 1944 and enabled communication with ships at sea. Osprey nests around the poles had new platforms built and installed. The mayor said the AT&T building will eventually come down too and a bird sanctuary or passive recreation/lookout point could be established there. 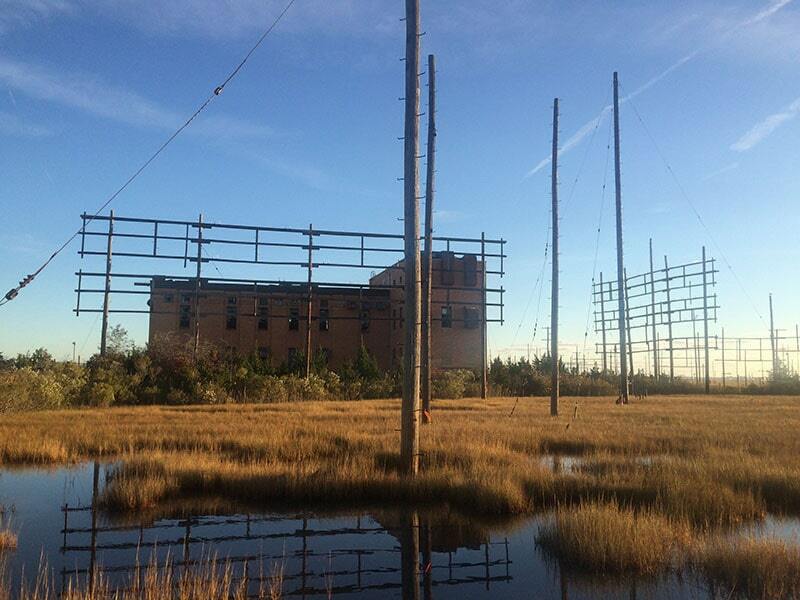 The proposed project will remove approximately 340 wooden poles from the inactive antenna field, along with several metal antennae. 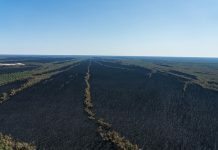 The goal of the removal, funded by Superstorm Sandy recovery dollars, is to “enhance coastal marsh habitats by increasing marsh resiliency from impacts of large storm events and other ecosystem stressors,” U.S. Fish and Wildlife said in a statement.